The city skyline graced by the iconic Twin Towers and KL Tower is one of the most compelling when viewed from The Club Lounge, up on the 34th floor of Sunway Putra Hotel. As Club Floor guests, we had the privilege of checking in and out at the secluded 272-sqm private lounge. Staffed by a professional and personable team, The Club Lounge is spacious and welcoming. Open daily from 7am to 11pm, the light-filled, serene haven is ideal for dawdling over complimentary breakfast (7am-1030am) whilst perusing the day’s news. Breakfast can be partaken at the Coffee House but we found greater appeal revelling in the exclusivity of The Club Lounge. Quality over quantity is the maxim, with hot cooked breakfast of eggs or noodles made to order. The breakfast fare changes daily too: nasi lemak was on the first morning menu; fried noodles was served the next day. Suffice to say, the overall selection is more than ample to satisfy finicky eaters. During our stay, we were spoiled for choice by the good variety, ranging from smoked salmon and mixed leaves and condiments for salads, to fresh fruit and breads with different spreads. Two mini island countertops proffer snacks are served throughout the day alongside complimentary non-alcoholic beverages. Light refreshments and cocktails form the main highlights at dusk. Entry is restricted to registered Club Floor guests and to maintain its business traveller-friendly stature, no children below 12 are permitted. Besides the city skyline view, some of the lounge’s expansive picture windows look out to the verdant vista of the Bukit Tunku enclave. It was too easy to make ourselves at home amidst the comfy settees and plush armchairs set within the polished marble and wood-clad ambience. Such understated luxury prevails inside our Club Suite too. 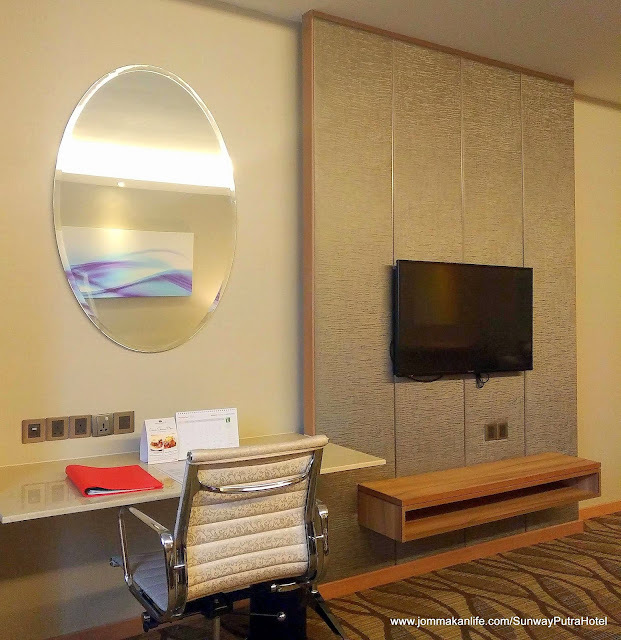 The suite is one of the 6 room types (the others being Superior, Deluxe, Family, Club and Junior Suite) available at Sunway Putra Hotel. We were stoked to discover the spacious accommodation boasts the necessary mod-cons: complimentary WiFi connectivity, LED Smart TV, electronic safe, coffee/tea making facilities, mini fridge and microwave oven in the kitchenette. Besides the sectional sofa, we found the executive desk and ergonomic swivel chair to be a boon for work purpose. The armchairs are equally comfortable for lounging in and reading. Catching forty winks throughout our two nights’ stay was a breeze thanks to the fluffy yet firm bed. I like the roomy en-suite shower and vanity area too. Complimentary laundry and pressing of 3 garments and late check-out (subject to availability) are part of the perks for Club Floor guests. 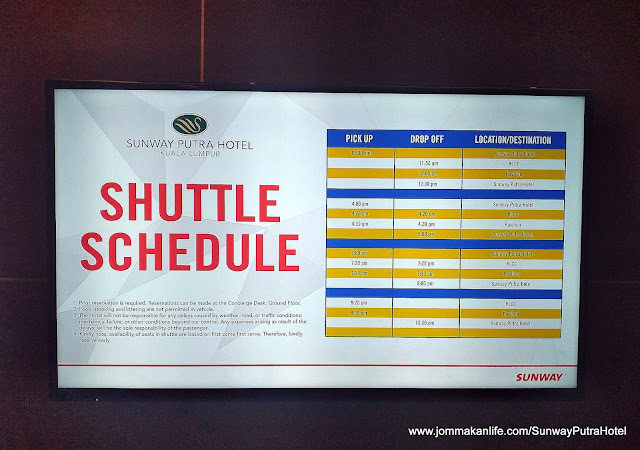 For the convenience of business and leisure guests, Sunway Putra Hotel also offers a scheduled shuttle service that plies the business, shopping and tourist spot routes including Bukit Bintang, Suria KLCC and Kuala Lumpur Tower. 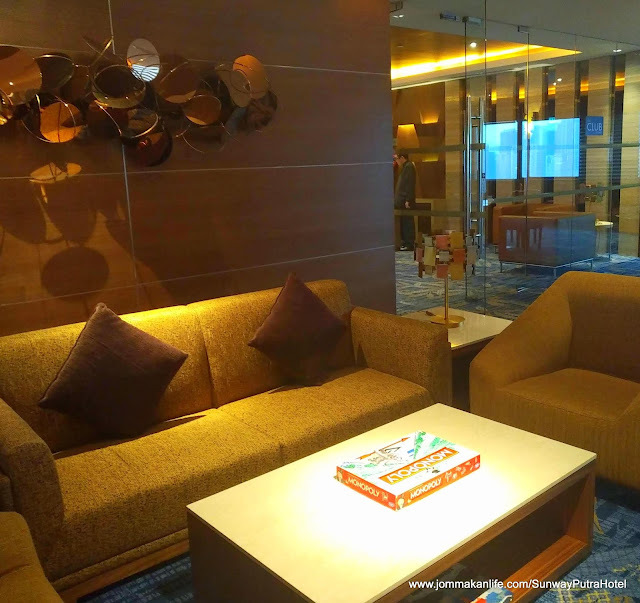 Having undergone a RM123million refurbishment programme in 2016, the 650-room, 5-star Sunway Putra Hotel — managed by Sunway Hotels & Resorts — is part of the Sunway Group’s mixed development integrating the hotel with the Sunway Putra Mall and an office tower. Our attention was drawn to its atrium glass dome which serves as the focal point in the Lobby, atop the Atrium Lounge on Level 9. A sweeping marble staircase dominates the sprawling lobby whilst a wide corridor leads to the hotel’s meetings and events space. Much as we wanted to make use of the huge outdoor swimming pool, the unfavourable weather kept us indoors during our sojourn. The 24-hour fitness centre with assorted weight and exercise machines is adequate to keep fitness buffs happy. We naturally didn’t go hungry throughout our staycation in view of the surfeit of food served at the all-day dining Coffee House restaurant. Also onsite is The Atrium Lounge and Gen Japanese restaurant to level up Sunway Putra Hotel’s F&B offerings. 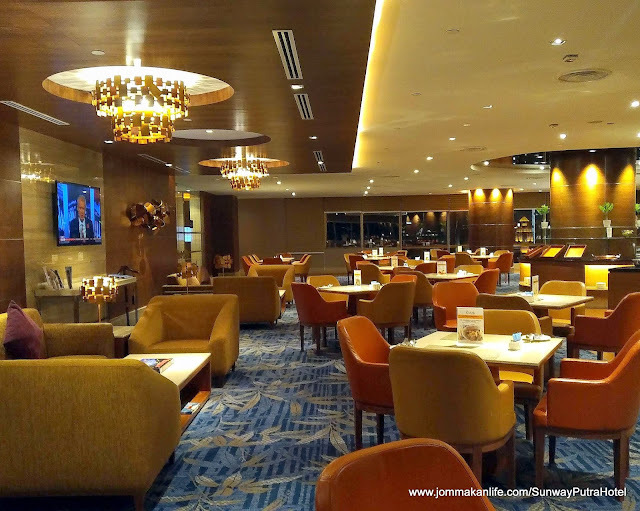 (Note: Separate blogpost on Sunway Putra Hotel's F&B outposts coming soon). For reservations, please call Sunway Putra Hotel, tel: 03-4040 9888. 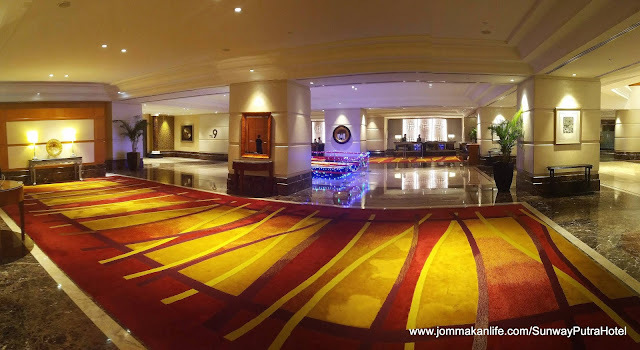 Sunway Putra Hotel is located at 100, Jalan Putra, Kuala Lumpur.